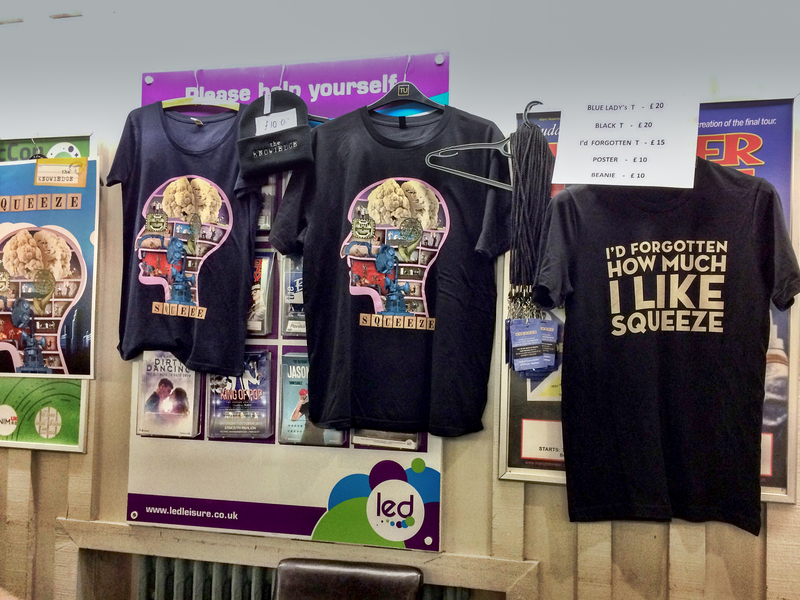 Last night at the second warm-up gig for Squeeze’s new Join the Dots tour was a chance to see the first merchandise to support the release of ‘The Knowledge’. I usually wait until the last night before buying anything but after the pain of several nice items selling out I thought I’d treat myself early this time. 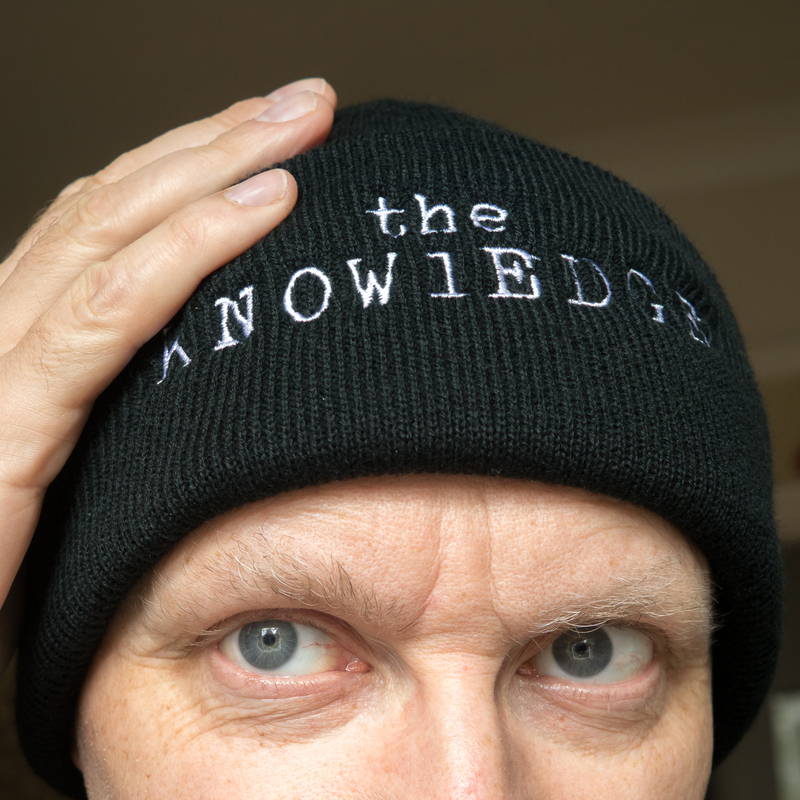 There’s a rather fetching ‘The Knowledge’ beanie for £10 made by Beechfield. There’s a full album graphic unisex t-shirt in black for £20. The large size is a bit big for me. 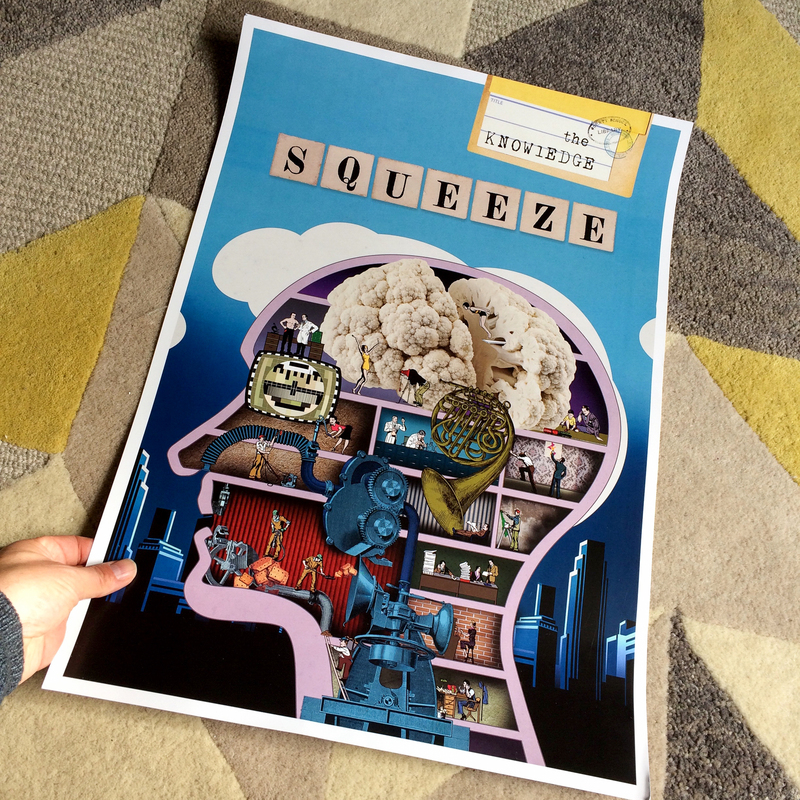 I love the really high quality poster for ‘The Knowledge’ which is £10. The paper’s so thick it’s almost card. And then there’s a laminate to get the new album for £15 which gives you the album on release day delivered to your door together with a signed setlist from the night. Nice item! There’s a blue album design t-shirt in a flattering cut for £20 with a lower neckline. 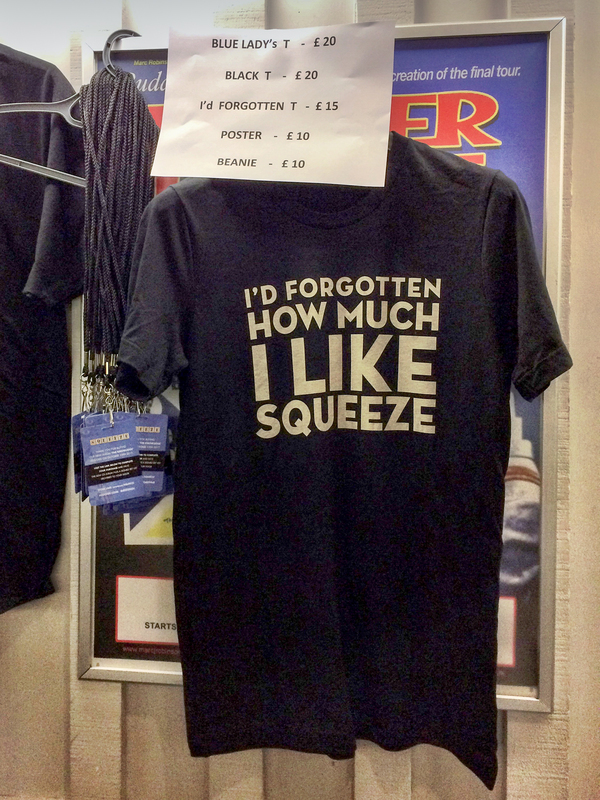 And then there are a few ‘I’d Forgotten How Much I Like Squeeze’ t-shirts which people have forgotten to buy, still available at £15. I’m hoping there’ll be more when the tour starts properly – especially the tour programme. What do you fancy getting? 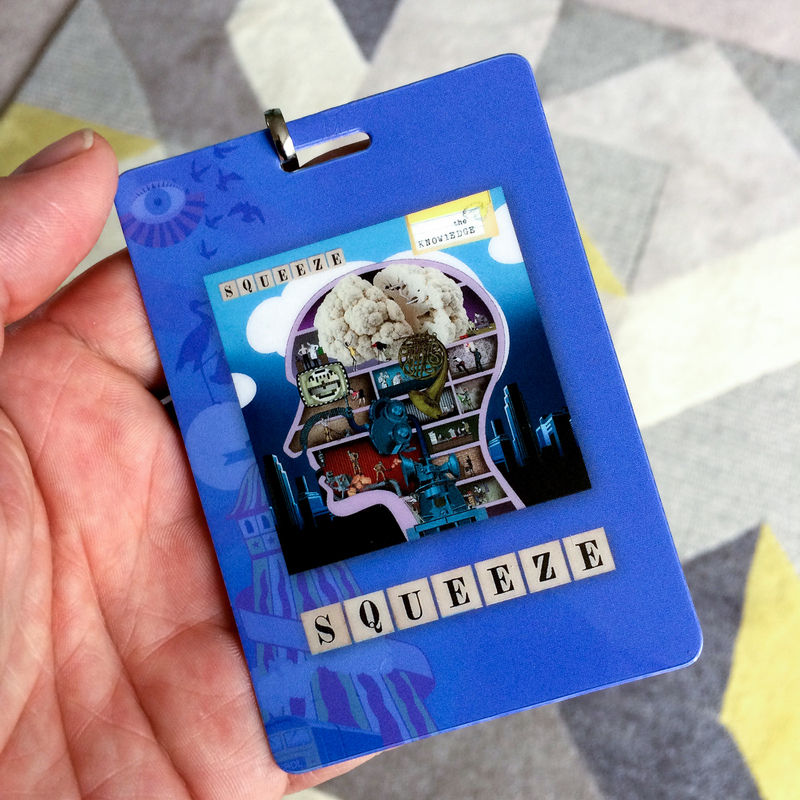 4 Responses to "Squeeze ‘Join the Dots’ tour merchandise – new album ‘The Knowledge’"
Cant Wait to see them in November!!!! David. The laminate…is that for the vinyl album? Plus does everyone get a signed set list which each album ordered?